Accident Reports – To report an accident for non-emergency situations, call 614-882-7444. To obtain a copy of an accident report, call 614-901-6450. For accident claims involving City equipment or vehicles, call 614-901-6400. Airport – Port Columbus International Airport (614-239-4000). Animals – Animal Abuse – To report suspected animal abuse, call Westerville Animal Control at 614-901-6450. 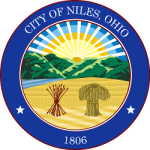 Animals – Animal Control – The City may arrange for trapping and removal of feral cats or wild animals that present a threat to public health, safety or welfare. For more information, call 614-901-6450. Animals– Dead on Roadside – City crews will pick up dead animals from City roadways. For assistance, call the Westerville Public Service Department at 614-901-6740. Animals–Leash Laws – Dogs and cats must be leashed or under control of the owner. Animals are not permitted to dig, urinate or defecate on public or private property other than the property of its owner. Owners must dispose of all animal feces outside of their own property in a sanitary manner. Failure to comply can result in animal impoundment. For more information, call 614-901-6863. Animals–Pet Licenses – Call Franklin County (614-462-3260) or Delaware County (740-833-2900) for more information. Attractions/Museums (in Westerville) – Call the Westerville Visitors & Convention Bureau (614-794-0401) or go to www.visitwesterville.org for more information about any of the following attractions: Anti-Saloon Museum, Benjamin R. Hanby House, Boyer Nature Preserve, Hoover Reservoir, Inniswood Botanical Garden & Nature Preserve, Otterbein College, Sharon Woods Park, Blendon Woods Park, and the Uptown Historic District. For Westerville Parks and Recreation, call 614-901-6500. Bikeways/Leisure Paths – Westerville is home to more than 26 miles of bikeways and leisure paths. For more information, call Westerville Parks and Recreation at 614-901-6500. Billing – See Utility Billing. Block Party – See Permits & Inspections. Building Code – Individual codes exist for basic building, mechanical, plumbing, electrical, one-, two-, and three-family dwellings and energy conservation requirements. For more information, call 614-901-6650. Building Permits – See Permits & Inspections. Burglar Alarms – See Security Systems. Burn Permits – See Permits & Inspections. Bus Service – See Central Ohio Transit Authority (COTA). Business Security Surveys – These surveys are offered free of charge to Westerville businesses in an effort to decrease opportunities for “easy target” crimes. For more information, call the Crime Prevention Office at the Westerville Police Division at 614-901-6450. Carbon Monoxide Detectors – If your alarm is engaged, immediately call 9-1-1 any time of the day. The Fire Division will respond to check the alarm and measure CO levels in your home. Cemetery Lots/Maintenance – The Westerville Public Service Department maintains and sells cemetery plots. For more information, call 614-901-6741. Central Ohio Transit Authority Bus Service – The Central Ohio Transit Authority (COTA) provides public transportation in the Columbus Region. For more information, call 614-275-5800 or click here. Child Car Seat Inspections – The Westerville Fire Division also provides professional child car seat installations/inspections every Monday at 400 W. Main Street between 8:45-11:30 a.m. For details or to make an appointment, please call 614-901-6600. Community Center – The Westerville Community Center, located at 350 N. Cleveland Avenue, is a 96,000+ square foot recreational and community meeting facility staffed and operated by the Westerville Parks and Recreation Department. For information about this facility, or any of Westerville’s other parks, facilities and recreational programming, call 614-901-6500. Crime Prevention – The Westerville Division of Police offers various crime prevention programs for all ages, including women, children and families. Call 614-901-6450 or the non-emergency number at 614-882-7444. D.A.R.E. – The state and federal Drug Abuse Resistance Education (D.A.R.E.) Program prepares school children to resist the pressures of drug use. For information, call 614-901-6450. Deck Construction – See Building Permit under Permits and Inspections. Digging – Determine utility locations by calling the Ohio Utility Protection Service (8-1-1) at least 48 hours before digging. Driver’s Licenses – Click here for the State of Ohio BMV. Driveway – Expansion: A Sidewalk/Driveway Approach building permit is required. Driveway – Replacement: No permit is required to replace a driveway. However, an inspection must be performed before pouring the right-of-way. There is a $100 fee for the inspection of driveway replacements and for new sidewalks when it exceeds 250 square feet. Call 614-901-6650 for more information. Economic Development – The Westerville Economic Development Division in the City Manager’s Office works to attract new companies and help existing companies expand in Westerville. Call 614-901-6403 or visit www.business.westerville.org. Elections – See Voter Information. Electric Educational Programming – The Westerville Electric Division hosts educational programs with non-profit energy associations and the Westerville City School District. For information, call 614-901-6700. Electric Service – Westerville provides municipal electric service to residents and businesses To report an outage, call the Electric Division at 614-901-6700. For billing questions, call Utility Billing at 614-901-6430. Emergency Services – Call 9-1-1 immediately for life threatening emergency medical, fire or police services. Employment Opportunities – Click here for employment opportunities with the City of Westerville. Everal Barn & Homestead – The barn and farmhouse is a focal point in Westerville and is listed on The National Register of Historic Places. For information about renting these facilities for special events, such as weddings, reunions or business gatherings, call 614-901-6578 or 614-901-6515. Everal Barn is located at 60 N. Cleveland Avenue.